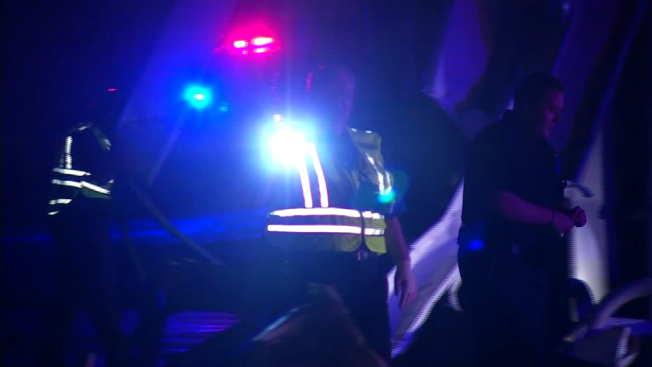 Three people died when storms rolled through Collin County Saturday evening, including an infant near Blue Ridge. Neighbor Debralee King told NBC DFW she went outside to check on her horses just after the storm passed and found her neighbor outside screaming. "He was frantic, because his wife was still trapped at the end of the house inside," she said. "He was running across the road with his baby saying, 'Please help me, take her to the hospital.' He was hysterical." King held the baby while another neighbor drove them towards Blue Ridge. 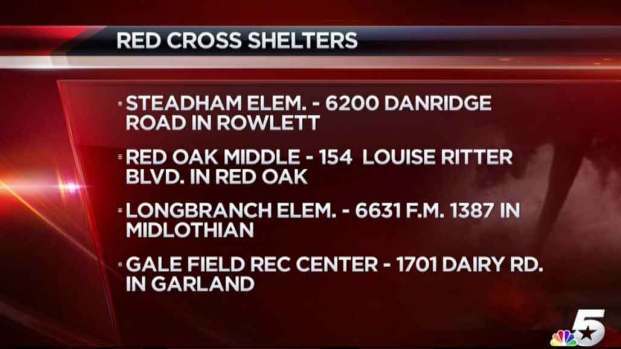 Early reports indicate 51 structures sustained major damage, 15 moderate damage and 25 minor damage, according to Lane. Officials are still trying to determine how many of the structures were homes as opposed to barns, sheds and outbuildings. "We ended up on County Road 981 and the Game Warden is who we finally flagged down," said King. The Game Warden called paramedics who arrived shortly after. The baby, only days old, did not survive. "I was holding her little fingers," King said. "When they're little they like to curl their little fingers around you. Her little hand was cold." King said she was surprised to see how the home sustained. "In the dark I had no idea their home was like that, that's just pitiful," King said. The father was hospitalized in critical condition, according to Lane. King said he and the baby's mother suffered broken bones. "They are a wonderful family," King said. "They have the most wonderful kids." 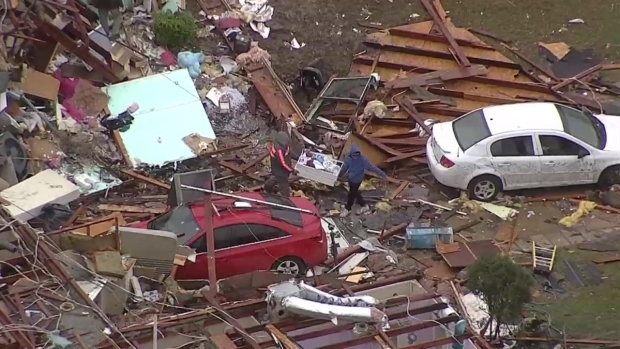 The National Weather Service in Fort Worth said the tornado that hit Blue Ridge has been rated as an EF0. 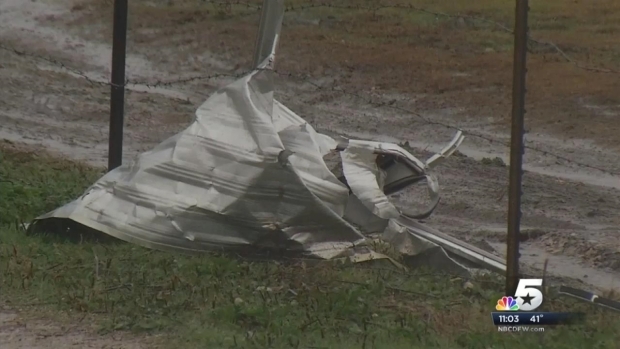 Farther south in the Collin County town of Copeville, two adults died when an EF2 rolled through the town. Homes were damaged along with a gas station, day care and feed store. Crews spent much of the day assessing the damage. Early reports indicate 51 structures sustained major damage — 15 sustained moderate damage and 25 sustained minor damage — according to Lane. Officials are still trying to determine how many of the structures were homes as opposed to barns, sheds and outbuildings. Collin County Judge Keith Self declared a State of Emergency for the county Sunday afternoon.